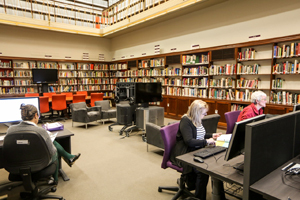 The NFSA Library is open to the general public every Wednesday between the hours of 2.30 and 4.30pm for reference purposes only. Books and serials are not available to loan. Clients wanting to audition access items from the audiovisual collection should submit an enquiry form to Collection Reference via Search the Collection on the NFSA website.